Today is the last day of school for Fairfax County students. Throughout the school year, many books are purchased for reading assignments. After the assignment is completed, most commonly those books are pushed to the back of the locker or the students closet at home. Now is a perfect time to take those already read books and donate them to your public library. At the beginning of every summer, schools send a summer reading list home so that our children can continue on with their love of reading. Many books are packed for summer vacations and taken to local pools where kids will sometimes read them during the “break”. 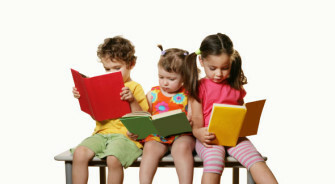 Over the next couple of days, have your children sort through their books and donate the ones they have already read so that another child may begin on his or her journey into the love of reading.